Although turning to us for preventative air conditioning service is one of the best ways to avoid problems with the AC unit your home or business uses, your system will likely need to have a repair or two done at some point. However, even if you know you should get your system looked at, we realize that you may be tempted to put off getting your unit fixed for a while. If calling us for air conditioning service isn’t one of your main priorities, there are several reasons why it should be. System preservation. 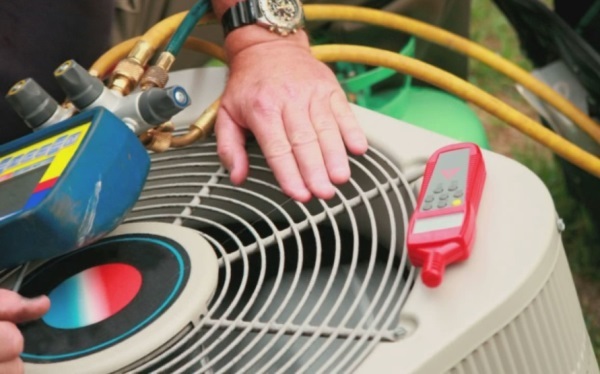 Even if your air conditioning unit only needs a small repair, getting this taken care of can prove to be invaluable when it comes to extending the life of your system. Maintaining your air conditioning system is similar to changing the oil in your vehicle regularly. Although you may not notice the effects of driving with old oil in your vehicle at first, you will definitely notice later on when you have to have extensive repairs done. Energy efficiency. Unless your AC unit completely shuts down, you may not call us for air conditioning service right away. However, just one small imperfection can reduce the efficiency of your system drastically, leaving you with elevated cooling bills. Comfort. The last thing you probably want is for your air conditioning system to stop working when it’s really hot outside. Making sure you get repairs taken care of as soon as possible greatly lessens the odds that you will run into a problem with your unit at an inopportune time. If your air conditioning system runs into a problem, or if it’s been awhile since you had maintenance performed, preserve the efficiency and lifespan of your unit and call us at HAYNES Heating & Cooling right away.